This book is a moving story of courage and faith in overcoming personal tragedy. It has the capacity to transform your understanding of healing and give hope to those in need. 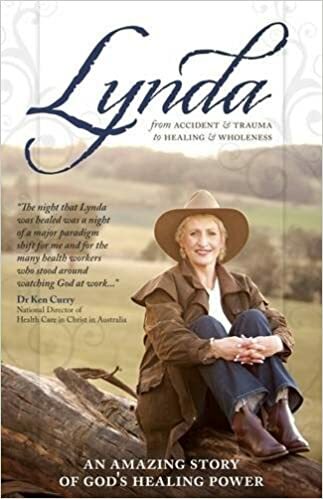 Following a life-changing accident, Lynda retells the dramatic story that led to the powerful ministry that amazed witnessing doctors. Her miraculous physical and emotional healing restored her to life and gave her back the hope of marriage and family. Lynda's story demonstrates how God brought supernatural healing to every part of her spirit, soul and body. Profound spiritual principles become clear as she tells what God did in her life. This book is not only a wonderful celebration of her healing, it's also an enormous encouragement to all who would step forward in faith and put their trust in God.